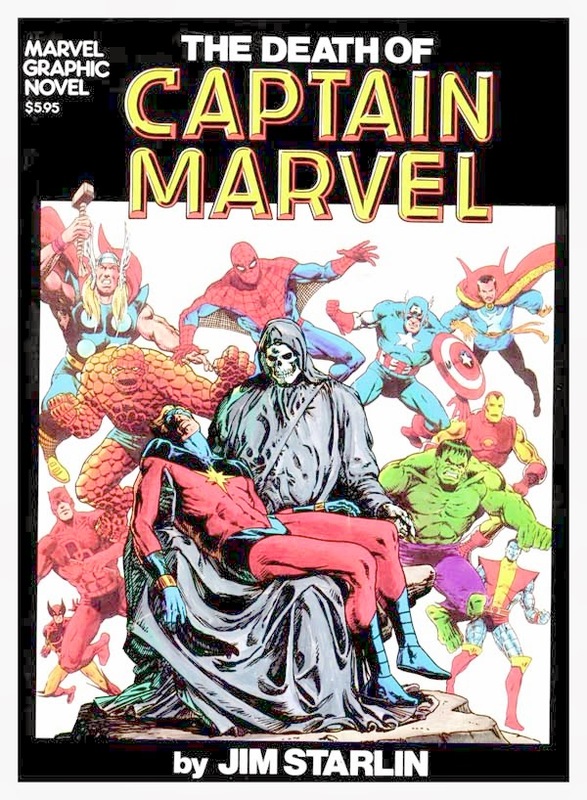 The Death of Captain Marvel is one of those stories that routinely show up on critics “best of” lists, but that you never get around to reading. Well, it has been that way for me anyway. But I recently remedied that as I had to read it to see if it fit in with the Spider-Man Complete Chronology. Given I’m writing about it in this column series and not in a Chronology update, I think reveals the answer to that. More about The Death of Captain Marvel and it’s place in Spider-Man lore after the break. The Death of Captain Marvel is a simple story at it’s core. After years of adventuring and defying the odds, the Captain discovers he has cancer and we are privy to the chronicling of his final days. 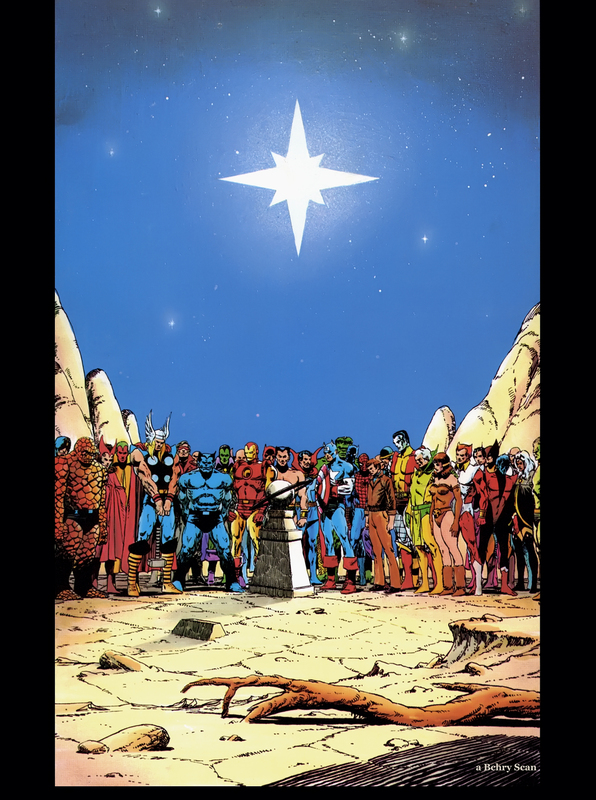 There are limited fists thrown and most of the book is spent with Mar-Vell meeting with doctors and saying goodbye to his family and friends. For a story that features the vast majority of the Marvel Universe, it is a very low key personal tale. I don’t know anything about the backstory surrounding the creation of the graphic novel. 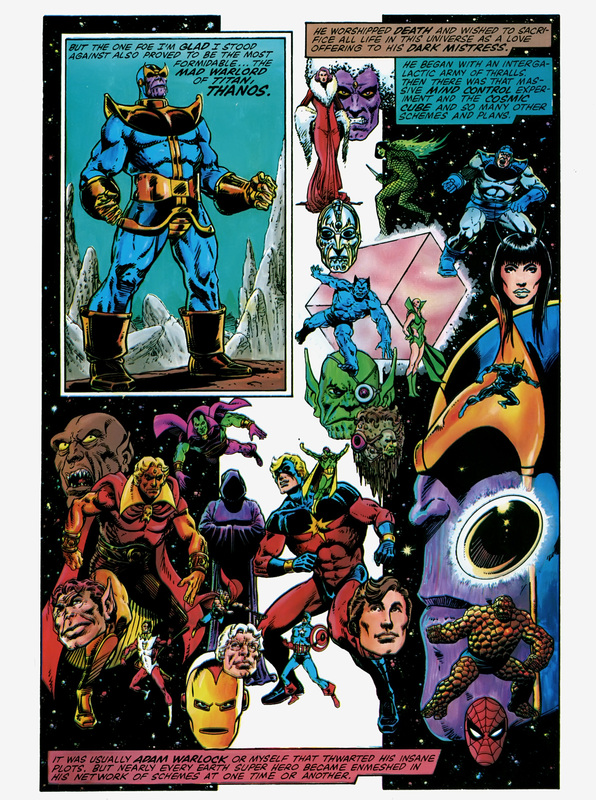 It is written by Jim Starlin who has been Marvel’s go to guy for all things cosmic, Mar-Vell, Thanos, Adam Warlock, Infinity Guantlets, Wars, Crusades, Entities for many years. I don’t know if Mr. Starlin, like many, had his life touched by this horrible disease during this time, but his writing here seems to really come from the heart. Perhaps his father or a brother or friend went through a similar battle as a hero is stopped not by a horde of villains on a far away planet, but by his own body. This final arc in the life of Mar-Vell does bring to light a topic that rears it’s head now and then in comics and other popular culture. With all the healing powers and magic and super soldier serums and the like that exist in these fictional worlds, how can anyone die from something like cancer? Similarly, how is it that Professor X (when he’s not busy being dead for the X-teenth time) spends so much time confined to a wheelchair? Barbara Gordon over at DC in the pre-New 52 days is another good example. Oracle was a great character, but in all those years no one could come up with a means to either repair her injury or even give her some sort of “super suit” to allow her to return to a life where she could forget about the day the Joker showed up on her doorstep? From what I’ve read of Batgirl in the New 52, the explanation for Barbara’s surprise return to action there was mostly glossed over as “a miracle” and the less said about it the better. They did do a nice job with Babs still having the emotional scars from her encounter with the Joker that left her crippled. Having to overcome the fear of not just that mad man, but anyone willing to take up arms against her. But an explanation for something that makes sense in the real world, but doesn’t jive in a world filled with people in capes that can fly, best not to think about it too much. A similar issue occurred after the events of 9/11. Marvel would have been remiss to not address the tragedy since New York is as core to Marvel as any character. It lead to a touching story in Amazing Spider-Man #36 that showed devastated super heroes doing their part to help rescue people from the wreckage and take the blame for not being there to prevent it. (There were devastated villains too, like Dr. Doom crying, but that’s a whole other conversation.) Stand alone, it was a great story and placed the true heroes like the police and fire-fighters on a pedestal. But in the confines of the fabric of the Marvel universe, where New York seems to get destroyed and rebuilt every other issue, it really looses its power. It is understandable though why Marvel would create the book, and the real world events would obviously play a part in the books they would produce post 9/11. 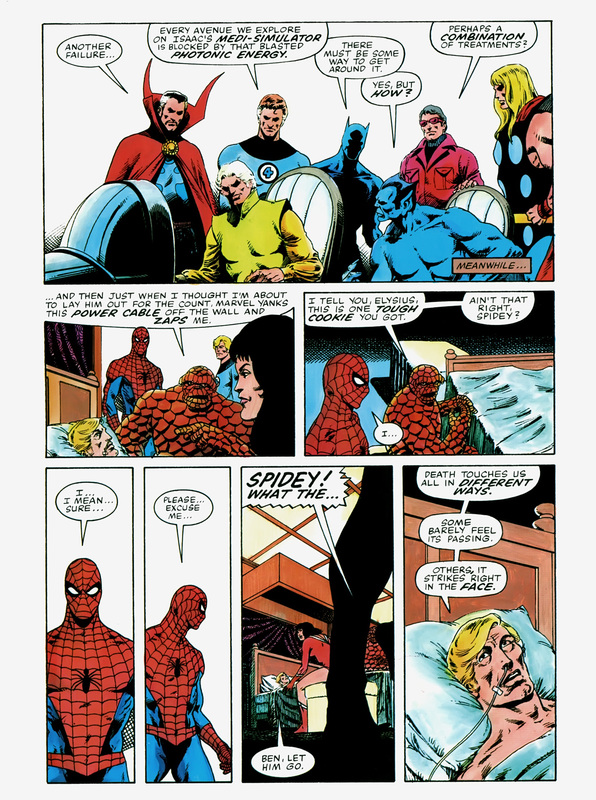 As for our pal Spider-Man, he does have a couple of poignant pages near the end of this story. Ever since the decisions he made that lead to the murder of his Uncle Ben, Peter Parker has never dealt well with death. And as you can see below, seeing Mar-Vell on his death bed is too much for him. 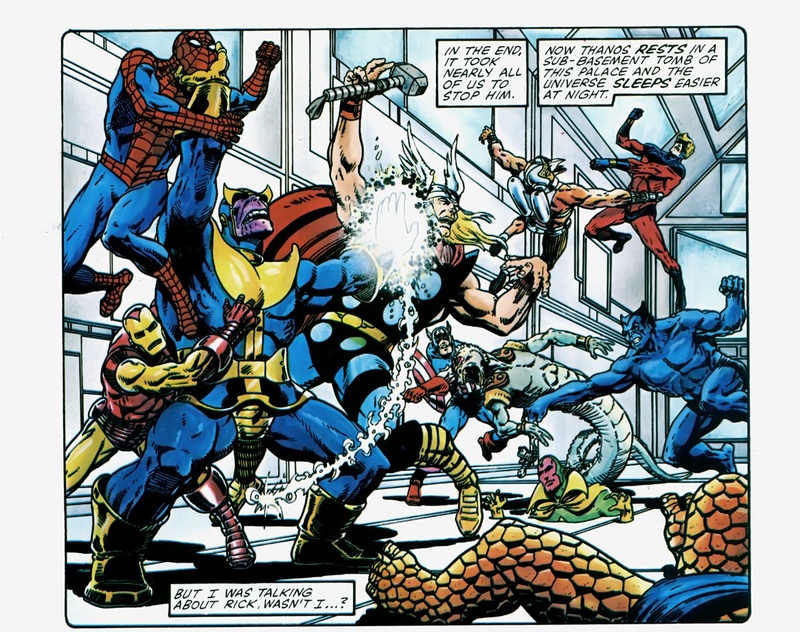 Outside of that, Spidey barely appears in the oversized book. Making a couple of little cameos. Once in a flashback and otherwise just hanging around and being sad like the rest of the heroes. It is for that reason that I haven’t included this in the main chronology. It is recommended reading, but the only mention of the experience that I have come across so far in the main Spider-Books is a reference to Mar-Vell being dead when the new Captain Marvel makes her debut. 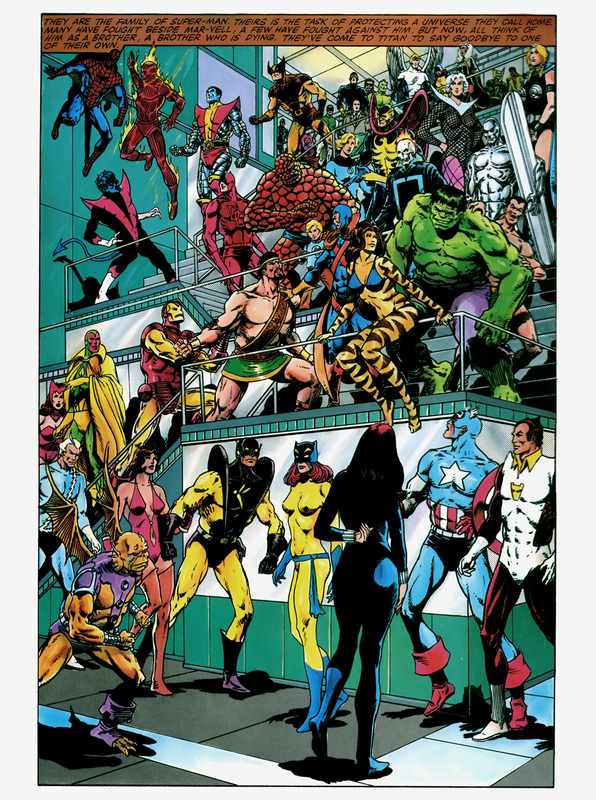 Like Marvel Super Hero Contest Of Champions, my decision to exclude this book from the main chronology is a tough one especially given their high profile and popularity. But I just don’t find they add much of anything to the Spider-Mythos and hard to recommend someone read a 60+ page story or mini-series for a 2 page or less Spidey cameo. It is probably worth noting that Spidey is the only hero to really get a spotlight reaction like that. He fills an everyman position that none of the various geniuses can fulfill, the one who finds the tragedy more than he can take and has to leave the room for a minute. 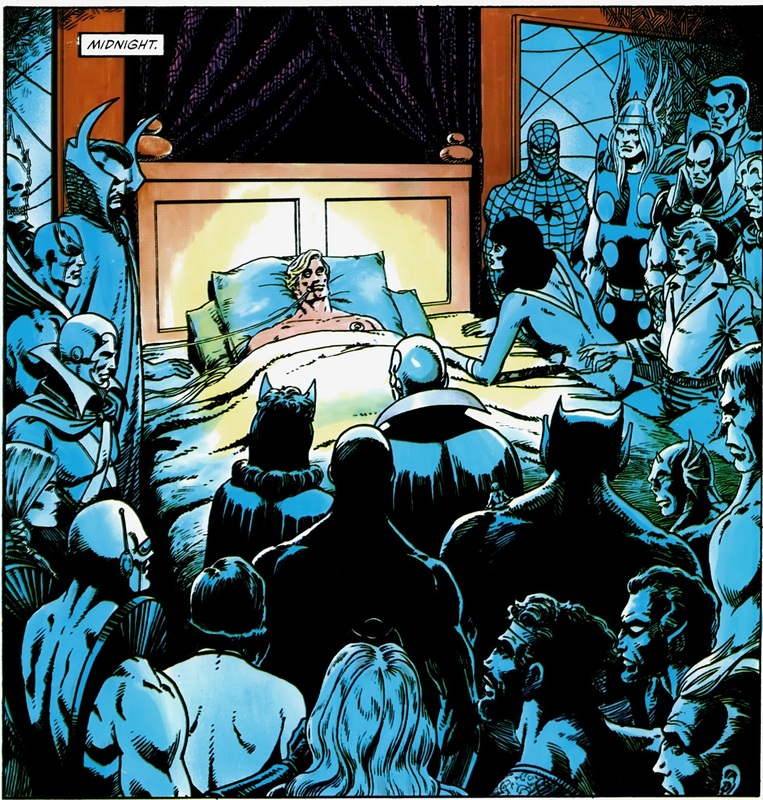 Everyone else is either powerless to cure him, or is there to honor a fallen hero or (in the case of a lone Skrull) a great warrior. Previous Previous post: Awesome Cosplay Of The Day: REY!